For the stamping I used China Glaze Admire from the 2009 Romantique Collection. I love how it turned out. 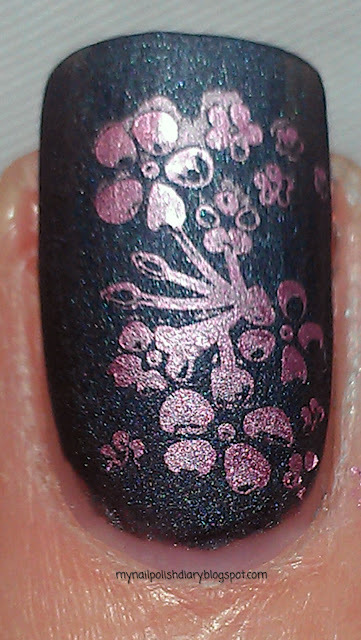 And despite my reservations, the stamping lasted really well without top coat. I used the B54 plate from Born Pretty.